This Goal Daisy Pendant is made from hallmarked sterling silver. All proceeds from the sale of these pendants will go towards the Goal What on Earth Campaign 2018. 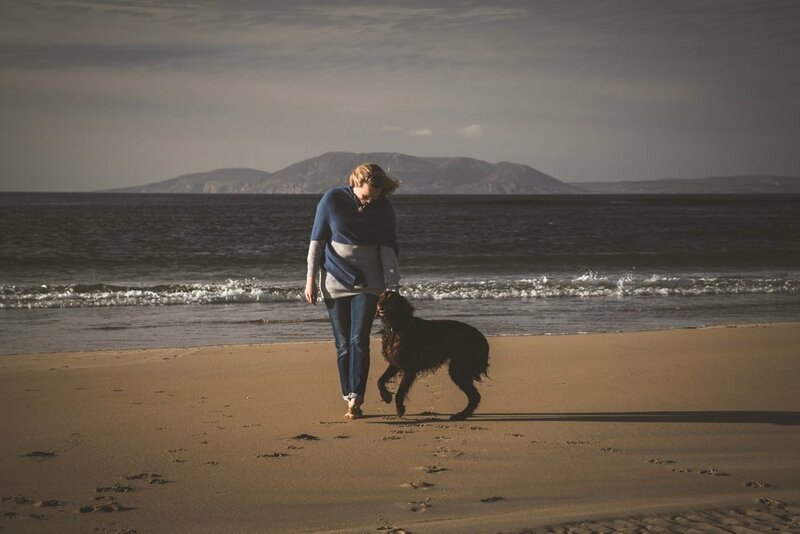 Helping us create this story board Leonie Cornelius was coming into shot when she was joined by Blue, our 8 year old Irish setter fresh from chasing Oyster Catchers along the tide line. That's Sliabh League in the background looking north from Sligo. Sliabh League boasts the tallest sea cliffs in Europe. A walk on the "Wild Atlantic Side".